I do not know about you but I keep my cell phone in my purse and NEVER hear it if it rings while I am in my house. My husband is bad about his phone being dead all the time. So when people call our cell and we are not on the go ..... we never hear the call. For some reason my boys school always call my cell if they need me before calling the home and I do not see the missed call for hours. 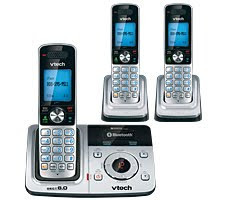 With the VTech DS6321 I do not need to worry about missed calls anymore! This phone provides unique BLUETOOTH connectivity features to converge cellular and landline calls into one system. This means I can receive my cell calls on my home phone !!!!! you can actually connect 2 cell phones at once to your landline. I will never miss a cell call again when I am home. The set up was quick and easy. I really like that it puts all your contacts from your cell phone in for you which saves you a ton of time. For someone that does not have long distance on their home phone, this phone is great because at a touch of a button you can make call from it using your CELL line from your home phone and have a great connection! I really like that you can set the ringtone to be different for your home line and your cell, you can tell what phone your call is coming from. I also like you can transfer calls between handsets, with my teen (has one of the handsets in his room) I can just transfer the call when it is for him instead of yelling LOL. The 6321-3 has been tested for compatibility with many of the most popular Bluetooth cell phones and headsets. 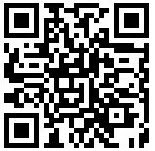 Cellular phones and headsets from Apple® Motorola®, Samsung™, LG®, Nokia™, Sony®, BlackBerry (from RIM®), Palm®, Samsung®, Southwing®, Plantronics® and other manufacturers have been tested and found to be compatible with this product. Intercom between handsets—no more shouting, "Dinner Time!" Transfer calls between handsets—no more shouting, "It's for you!" That would be a great phone to have!!! This would be perfect for my sister! Neat!! Would love to have this someday. This is something I need to look in to since I never seem to hear my cell phone when I am in the house. Thanks for the info.